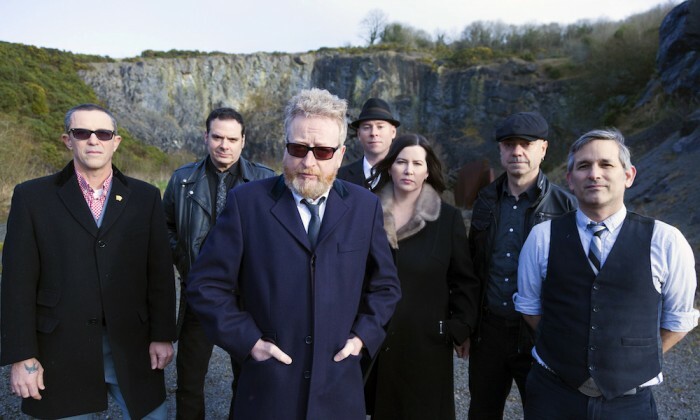 Touring is nothing new for Flogging Molly—the Celtic punk rock group has been at it for the last two decades. But their current tour is a bit different: It’s promoting their sixth studio album, 2017’s Life Is Good, which came at a time when the Dave King-fronted group experienced an upheaval. Yet the recording process was cathartic and made the group stronger than ever, he added. 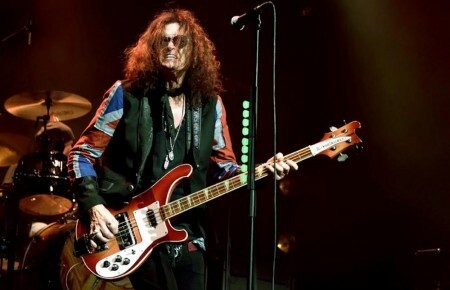 Casey spoke more about the tour, the band’s new drummer and his love for one Long Island town before the group hits the Forest Hills Stadium on June 22. You brought a new drummer Mike Alonso into the band. Was there much of a feeling out process? No, not really. We started playing and he did well with the new material. And he knew all the old material that we had. He jumped right in. Mike’s a really good drummer and he was on all the songs that we recorded. And you’re now on a co-headlining trek with Dropkick Murphys. What’s that been like so far? We did this in Europe with them and this tour is very much the same. It is exceptional. They are a great bunch of guys; we all get along really well. We’re having a great time. The shows have been going really well. We couldn’t be happier. I wish we could have done it earlier but we’re doing it now so it’s been a great experience so far. I read their singer/bassist Ken Casey had neck surgery recently (an accident caused severe disc damage to the C6 vertebrae in his neck) but is still touring? Yeah, one of the other guys is playing the bass and he’s just singing. But as an aside I had the same surgery back in 2002—the same exact one—and 10 days later I was playing again. Did you have any advice for him knowing what you went through the surgery? I tell him about my recovery and my process and he’s really appreciative. I give him a lot of credit. I think the biggest worry is you have to watch your adrenalin. It’s an adrenalin rush when you have 2,000 or 3,000 or 5,000 people really getting into it. [It] gets you hyped up. You really have to be careful as far as not jumping around. 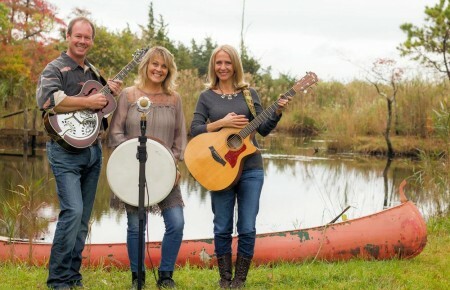 In April the band had its fourth annual Salty Dog Cruise. How did that go? I had the time of my life. All the bands were great, the fans were great. They were enjoying themselves. There were people getting engaged, people having a wonderful time listening to the music and the vibe was really great. We started it ourselves and it’s a labor of love and it’s evolved into its own entity. Has the band started thinking about the next album? We want to put out something else soon. Music is different now; it’s a way different animal than it used to be with streaming and social media and that’s what we’re talking about. Our fan base loves records but there’s nothing that says you can’t put out three songs and put it on all the streaming sites. Where do you get the hats you wear onstage? Do you have a large collection? They’re from Brixton. [Founder] Dave Stoddard, he’s a friend of our accordionist Matt Hensley. He started the company and we were there at the beginning and we stuck with him and we’ve been with him ever since. I do have a large collection and they don’t last as long as you would think from wearing them all the time on stage and throwing them in the drawers. They kind of get beaten up quite a bit. You live on Long Island, do you have a lot of good memories from your time there? I married a Long Island girl. I’ve been there seven years. I love Long Beach! Long Beach I think is the most beautiful beach on the island. I took all my kids there; I have a lot of memories of Long Beach.